One of the very first books we ever reviewed on our website was by Barefoot Books, Up and Down the Andes…. I have to say we just love them. 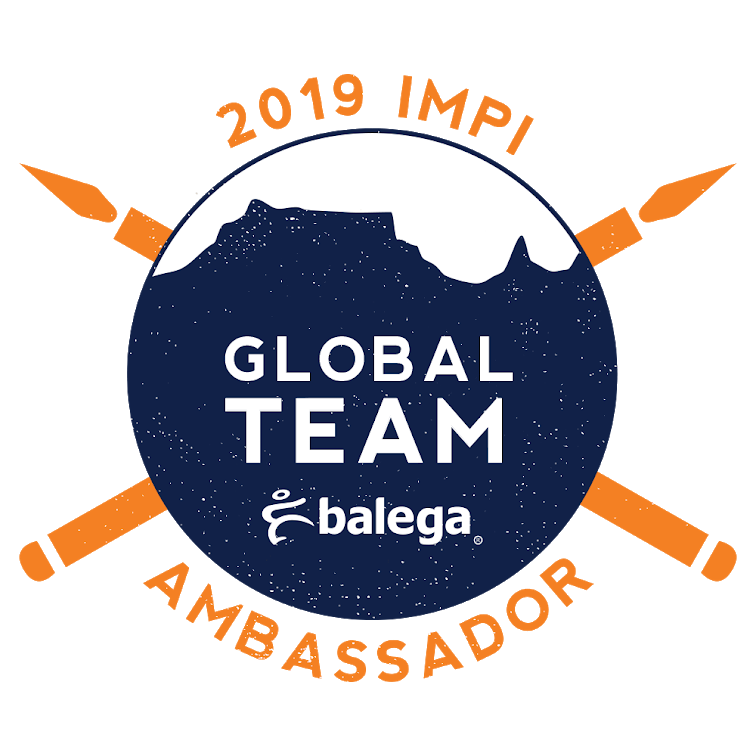 We love the international flavor of the books, and the celebration of interesting and different cultures around the world. The illustrations are always beautiful, magical even… the sort of illustrations that, even if you aren’t a child, you want to climb into and be a part of. The whole presentation of the books embraces childhood and all that it stands for. 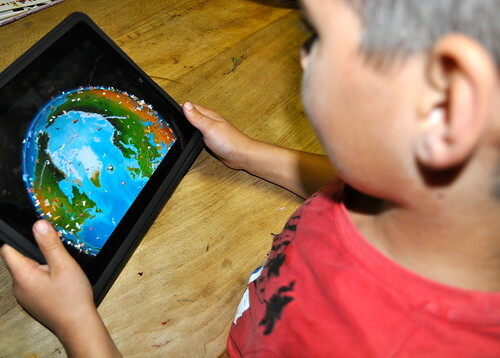 Barefoot Books World Atlas App for iPad: They have a fabulous World Atlas App that all of us love to play with. This may have been created for young explorers but I have spent hours looking at it too!!! If you are crazy about maps then you will love this, even if you aren’t you won’t be able to help yourself!!! This is one of those times when you say – “touch away,” as apposed to the usual “Don’t touch!” There is so much to explore… countries of the world, wildlife of the world, features of the world, buildings of the world… so much to see, so much to learn. Just click on a feature and a little paragraph about the feature pops up on the screen. If you click on it then the paragraph is read out loud and your beginner reader can follow along. 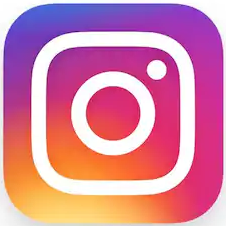 This app has kept all of us totally engaged for hours as we travel the earth looking for adventures. 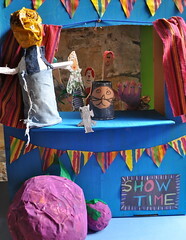 Yes, it is educational and all that – but much more important is that it is just such fun!!! 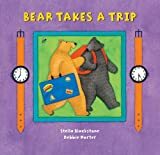 Barefoot Books Podcast: Just in case you enjoy having a wide variety of beautiful stories read to you then there is always the Barefoot Books podcast. We absolutely love listening to these!!! If you pop over to their website then you can see some really cute videos taken from their books. And if your are looking for activity sheets to go with the books and podcasts then this is the link to click on. We live in Africa, it is so important for us to pass onto our children a cultural literacy for our beautiful continent. 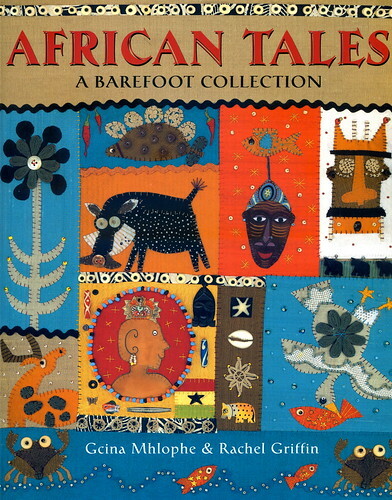 I think we have discovered the best every story book collection of African Tales. 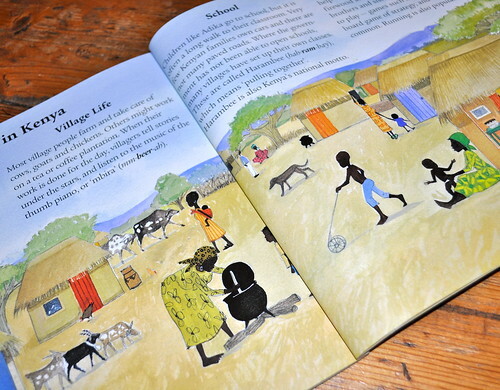 We just love this book, the stories are fabulous, there is the right mix of facts – about Africa and the particular countries that the stories are from and the actual stories. The illustrations are beyond describing they are so amazing and we have poured over this book again and again. Each of the illustrations really a fabulous collage of sewn together fabric and beads and shells and all sorts of other beautiful craftiness… You can read more about this book on the Barefoot website. 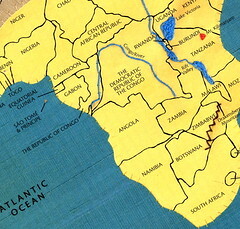 I think it was the map that got everyone ready to read – here is a little section of it – you can see all the special stitching and and the rivers… oh it is just beautiful!!! 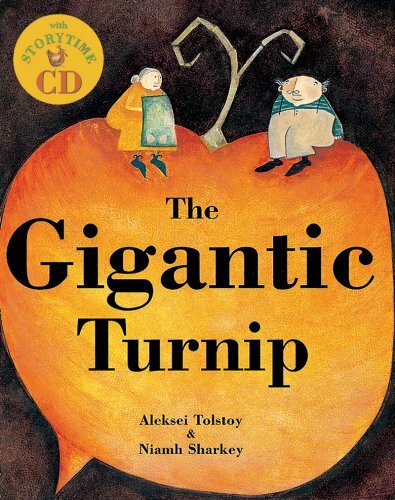 The Gigantic Turnip: This story is one of our favorites… so much so that we actually built a puppet show for it and then performed it on national TV. I tell you the truth we totally love this story. So this book for us was just absolute fun – the slightly wacky illustrations, the rhythm to the story… all totally lovely and one you will have to read again and again. Luckily it comes with an audio CD!!! And of course the recipe… These are not our standard pancakes – these ones have a distinct African flavor, with no eggs or milk… but they do have chilli pepper flakes and cardamom… So, so delicious!!! Bear Takes a Trip. And now for something completely different!!! 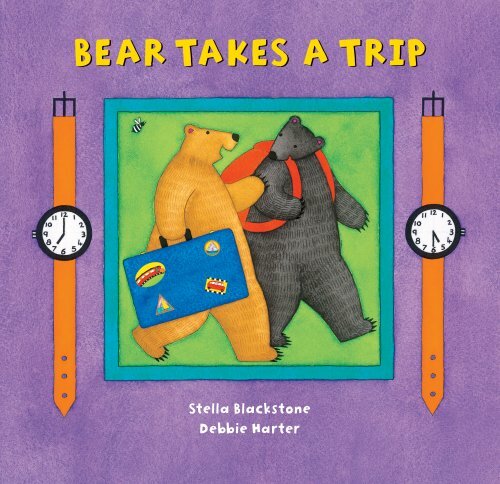 This is a story of Bear, who meets up with a friend and they take trip to the country. 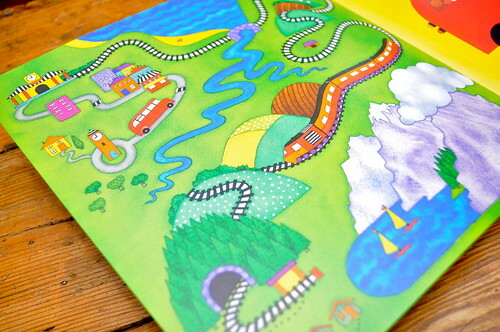 The book shows each step of the journey… from packing, to the bus, the train… all the way in fact!!! Here’s the thing, it is actually a telling the time book, with the time at the bottom of each page and an informational time-telling page at the end. The telling the time part flew right over my kids heads – they were oblivious to the obvious lesson!!! But they could at the end of the book tell what happened when and how – so the lesson was learnt without any teaching – my kind of learning!!! What they really liked about the book was the map of the journey on the inside cover… and you know how our kids love maps!!! That’s it!!! A bunch of beautiful Barefoot Books Reviewed for you. Thanks to Barefoot Books for so much reading fun and heaps of wonderful books that we have read on our reading journey. And thank you so much Pan MacMillan Books South Africa for supplying us with these books for review. This GiveAway works in the usual way, we will give you a whole week to comment until the close of play on the 16 June 2012, We will draw and publish the winner on the 19 June 2012 I won’t respond to your comments as I do on our other posts because I don’t want to be included in our own giveaway. Our GiveAways are open to everyone: If you have won a GiveAway before never fear – enter away. And all our GiveAways are World-Wide – so no excuse – leave a comment and enter away!!! I received these books from Pan MacMillan South Africa in exchange for a review, they did not ask, or pay me to say such lovely things about their products – I said them because their books are fantastic!!! Would love to win some of these fabulous books and really looking forward to the next two weeks of book reviews. I have bookmarked the barefoot books podcast site, as our children love anything that is on audio! These look great, we would love to win one! These books look amazing! I’m sure my kiddos would love them. We LOVE barefootbooks, especially the ones that come with the CD for listening in the car as well! We don’t have either of the books in this giveaway and would love to have them. Thanks for the chance! Would be awesome to win! Love the cd concept. Ooh these look fantastic! thamks se7en! You always have the the most amazing books! I know my children would love these books! Thanks for taking the time to review books. I love your book giveaways. 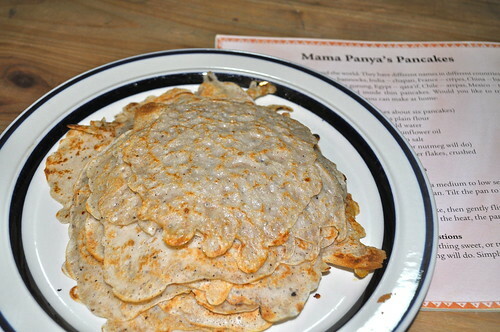 🙂 I actually just read “Mama Panya’s pancakes” to my kids a couple of weeks ago and we are still singing the pancake song. I like their books a lot too. I did think the pancake recipe in Mama Panye’s pancakes had a ton of oil in them, did you make them the way they said too? Portion wise? I loved the spice in them… I had never thought of spicy pancakes before, other than cinnamon. wow, just lovely. 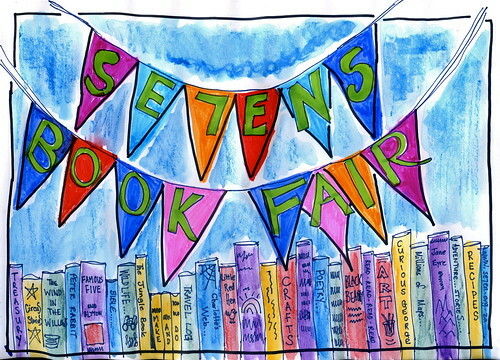 Taking a look at all these wonderful books! Oh how we love books! We can’t wait to buy the Atlas app – it looks fantastic! Thanks for your reviews and please enter my munchkins and I for the draw. We would love to win one of these, please enter us. We always love to read! My bigger boy is fascinated by the concept of time at the moment, of course not grasping much yet. We’re studying world geography next year, so these would fit in perfectly! We’d love to win!! What a wonderful giveaway! 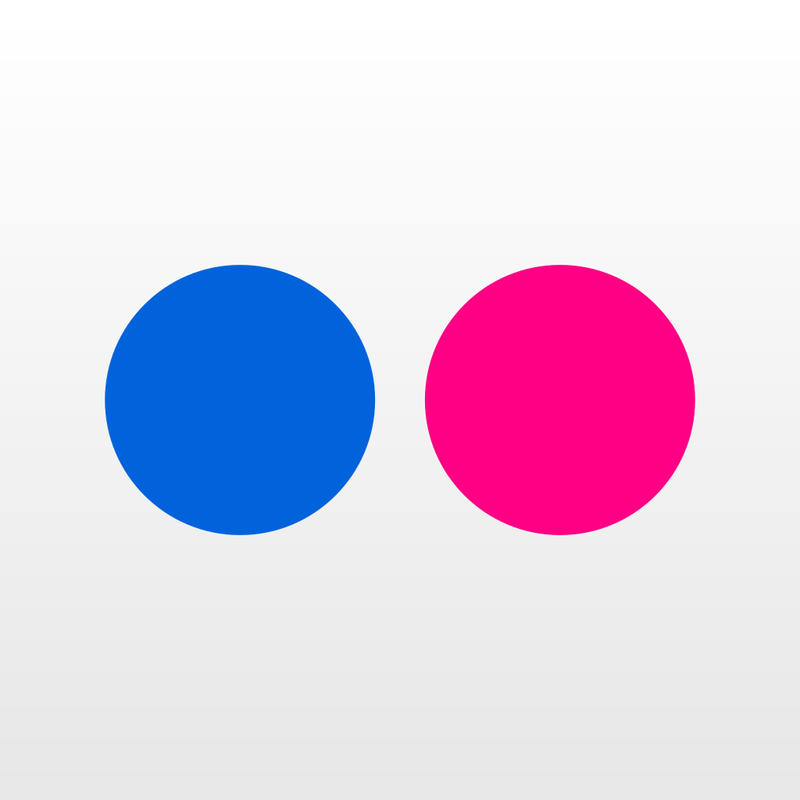 And thanks for all those great links…can’t wait to try that app! I agree barefoot books are beautiful and think my children would love these. Thanks for the chance! Lovely give-away! 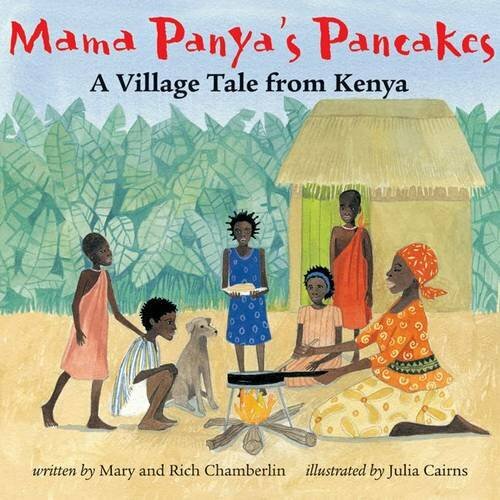 We live in Kenya and are very familiar with the Mama Panya’s Pancakes book, but not the others. We would love to read them! Thank you again for all your lovely posts. We would be thrilled to win these. I have searched the Barefoot Books website before, but haven’t worked them into our budget yet. Would love the opportunity to win these books. Thanks! We love, love, love this books!!! Thanks!! These books look great. Count me in! looks great! Please count us in! These look lovely. Count me in! Thank you for a chance to win! Your site is amazing! I just discovered it! Thank you. I always get the best book ideas from you. I would love to share these with my children and my first grade class! What amazing looking books! They must be amazing or they wouldn’t be here!